Well, lots of things have been happening chez Bride, including preparing for an interview and getting myself properly promoted into the job that I’ve been doing for just over a year. Massively exciting and not a little stressful which is why I haven’t been reading, blogging or commenting but hopefully things will settle down now that I’ve been successful, especially now that another big decision has been made, which is that the Book God will be retiring from the wonderful world of work in the early summer. I don’t know about you guys but when I’m going through periods of change I find it difficult to settle to read. But I have a plan; I am hoping to carve out proper time for reading every day from now on and set myself sensible goals, even if it’s just “read 20 pages of x today”. And all I need to kickstart myself is another book as good as Rivers of London. I have to give thanks to Silvery Dude who bought this for me as a birthday present, for two reasons really (1) it’s a cracking story and (2) it was exactly the right thing for the two days on which I succumbed to my horrible cold and sulked in my tent until I felt better. So I read this in two sittings. Peter Grant is a probationary police constable in central London who discovers he has some interesting talents (basically he can speak to the dead) when a strange crime is committed on Covent Garden. He comes to the attention of Inspector Nightingale (who just happens to be the last wizard in England) and a whole new world opens up to him. This is a fabulous story; a quote on the cover suggests that this is what it would be like if Harry Potter grew up and joined the police and I can understand where that’s come from but this is remarkably inventive and enjoyable in a totally different way; for a start it’s considerably more violent than HP (bit not excessively so). It’s a serial killer novel with magic and mythology. And I loved it. For a start, most of the action takes place in Covent Garden and The Strand, both of which are close to where I work, and it was great fun to imagine the rather strange plot unfolding in such familiar surroundings. And then there’s the whole mythology of the Thames, with the rivers in human form, which I thought worked wonderfully well. I loved it so much that I’ve pre-ordered the sequel, and it definitely took my mind off my unwellness. You should really, really get this. Why haven’t I heard of this book before????OMG!!!!!! I need this, I need this, if only I could go shopping I would go and buy this right now, today, this hour. Stupid (ok, very good knee, I don’t want it to get cranky and go ‘crick’ again on me) injury!!! On the plus side, I’m so happy you got your promotion and Book God is happily retiring. It is all good news, right? Congratulations and I hope you are feeling better by now. 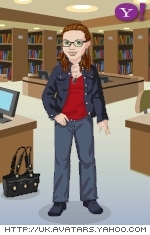 Susan, all is well just very busy. You know what it’s like when life gets in the way! I hope you enjoy this when you get it. I’ve already pre-ordered the sequel which comes out here in April. across the pond they published it as Midnight Riot. 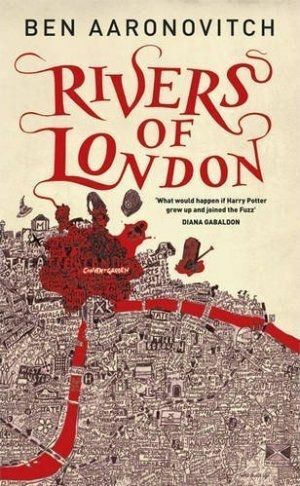 Not sure why, as “Rivers of London” is a much better name. regardless of the name, I just adored this book, I was laughing out loud every five pages, and I loved the characters. Locally it was part of a scifi book club, and it was one of the few books our club has read that everyone liked! Have you had a chance to read the 2nd one yet? I’m working on getting a copy, and I’ve heard really good things about it. I have the sequel but haven’t read it yet, though I’ve heard really good things. There is a third volume being published in the autumn.